If you love the taste of ribs but hate the mess of eating them, these Savory Crock Pot Pork Bites are perfect. They have all of the smoky and BBQ flavor of traditional ribs but in one tasty bite. They are so easy to make and require only a handful of ingredients. Forget hovering over a hot grill, because with this recipe you simply toss your ingredients into your crock pot and forget about them. 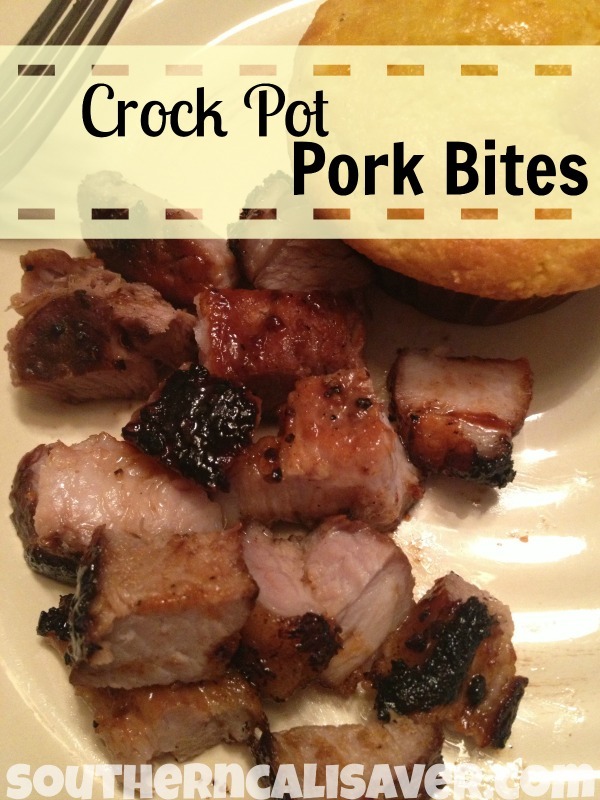 Take a look below at how easy it is to make your own Savory Crock Pot Pork Bites. This is my Crockpot: Crock-Pot Cook’ N Carry 6-Quart Oval Manual Portable Slow Cooker, Stainless Steel and I’ve had it for several years–its awesome! It is like having a cookout right in the convenience of your kitchen! Chop your boneless pork ribs into cubes. Sprinkle the salt, pepper, garlic powder, and seasoning salt on the cubes of meat. Layer the bottom of the crock pot with the chopped onions. Place the seasoned cubes on top of the onions. That’s it! Your pork bites will not only be tasty but super tender. Enjoy them with traditional BBQ foods such as potato salad, corn on the cob, corn bread, and other favorites. These keep well so whatever you do not finish you can easily refrigerate until later. Children will enjoy these easy to eat bites, and adults will enjoy the fact that they can enjoy the taste of a BBQ without all of the work. Give these easy Crock Pot Pork Bites a try and you won’t look at BBQ ribs the same way again! If you wish, you can always add a little extra zest such as hot peppers to your recipe. The choice is up to you as far as how much you want to amp up the heat. Do we add the barbecue sauce when we add the pork to the pot or after it is cooked? oops! before its cooked 😉 Just added that minor detail to the recipe. I’m still not sure when to add the bbq sauce in the crockpot. recipe looks yummy so I don’t want to mess it up. 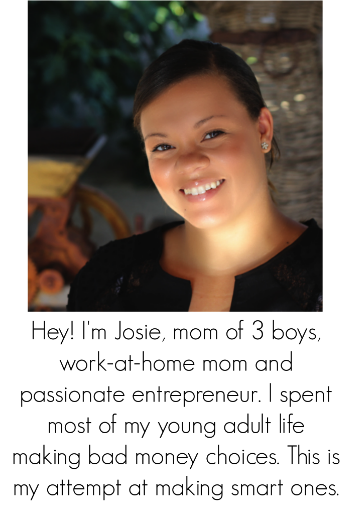 Josie- this came at the perfect time! I found some clearance pork rib meat at Vons plus had my $1 off any fresh pork item exp 8/31- thank you!!! Going to make it now! Great for this hot weather- keep the kitchen coo!! I’ll serve with rice, more of an asian flare taste [adding some ginger and soy- and chopped green onions when serving]. I need a sale on boneless pork ribs! I’m dying to test this recipe! Are you supposed to stir it at all? Or just let it sit? I think letting it sit works best…! Does it have to be boneless ribs or can I use other boneless pork chopped into large bites? Yes, you can do that Mary! I’ve got mine cooking now! Can’t wait to taste them! Josie this is excellent thank you! I don’t know if it’s because I’m English or just old but I can’t get my head round “pulled pork” so to find a good recipe like this amongst all the pulled pork sandwiches etc was a breath if fresh air and to find it works so well too us a great bonus. Made this and it was delicious! Didn’t add regular salt just seasoned salt…and only used 1/4 t. garlic powder. Also sprinkled red pepper flakes over the bbq sauce. Used a whole bottle of Kraft Thick and Zesty bbq sauce and I will definitely make it again and again. The meat came out soooo tender! I served with french fries but will be awesome over rice too! Definitely a 5 star recipe! Can this be cooked for a shorter amount of time on high? Yes, I wouldn’t cook longer than 3 hours if you plan to cook on high. Hi, can I do this with pork chops,in a plug in griddle with a cover? They would be a lot more tough if you do it that way. If you use a fatty cut of meat and sear the meat before putting it in the crockpot you should fare better. I would suggest putting more BBQ sauce. I made these today. Such a disappointment! The sauce was thin and runny and the rib bites were so dry I couldn’t feed them to my guests. Made my pork bites for our party this weekend. Also had the issue of soupy bbq sauce. I removed the pork from the crock, and put them into a pan on the stove with fresh sauce from a new bottle and tossed the bites to coat with sauce. Let warm on low for 20 minutes. That solved the problem perfectly. I used the soupy sauce as a dipping sauce. They were gone in the blink of an eye, and all I heard all night was. “Omg….good”. Thank you. can I use diced pork? If you don’t sear these first, they can’t possibly look anything like the picture.